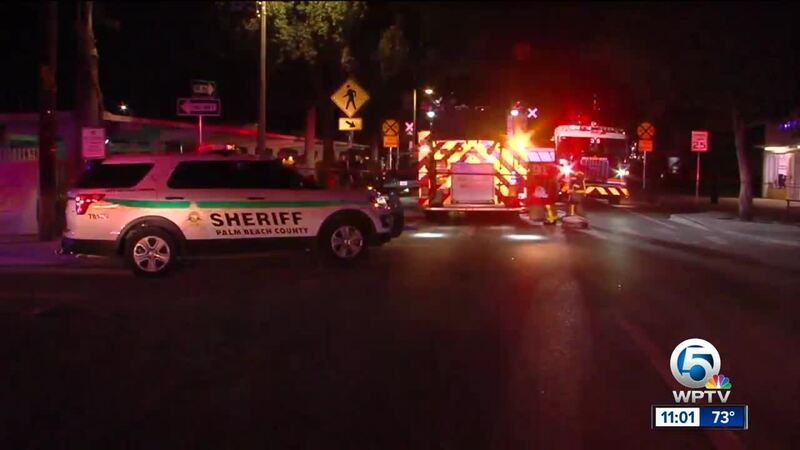 A man and a child were hospitalized following a motorcycle vs. vehicle crash in Lake Worth Tuesday evening, according to the Palm Beach County Sheriff's Office. The incident happened at 6 p.m.near Lake Ave. and N. F Street. 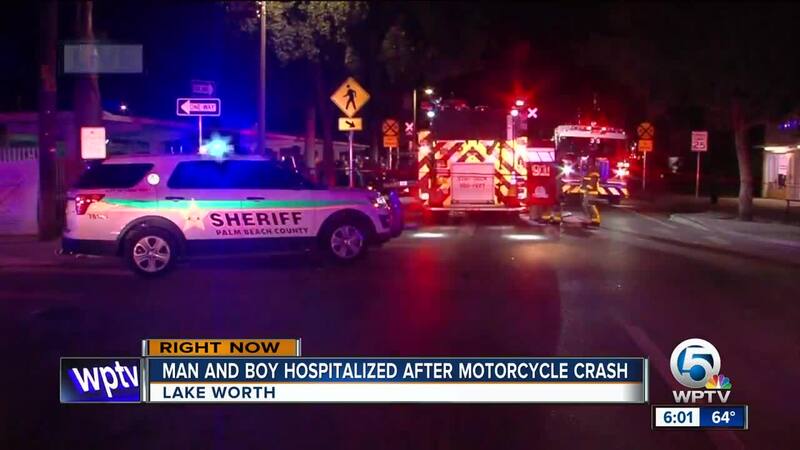 According to witnesses, a motorcycle was weaving east on Lake Ave., hit the brakes to avoid a crash and hit the curb, sending the driver, 35-year-old Kinsey Jones Sincavage, and his passenger, 11-year-old Aiden Ketzham, to the ground. Witnesses added that a pickup truck ran them over, leaving Sincavage pinned under the wheel and Ketzham under the frame of the vehicle, but not the wheel. Authorities later confirmed the patients were on a motorcycle and were pinned under a vehicle. 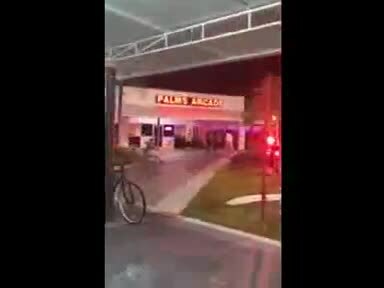 Both patients were extricated from underneath the vehicle by firefighters and transported to a local trauma hospital, according to Palm Beach County Fire Rescue. According to the Palm Beach County Sheriff's Office, Kinsey Jones Sincavage is in critical condition and Aiden Ketzham is in serious condition.